Become a member of Sugar Swing today! Membership is completely voluntary, but for $28.57 ($30 with GST), you gain many benefits. You can purchase a membership online at our registration page, or contact us. If you’re loving swing, a membership pays for itself very quickly! The biggest benefit is discounts on classes. With every four-week series, the discount is $10. On a 6-week class, $15. On a 12-week program, $25 off (-$26.25 with GST). As you can see, with just a couple classes and a few dance events, the membership pays for itself! With Sugar Swing having up to three social dances a week, the benefits add up. With all regular events, we give a discount of $2 off each social dance under $30. With special events, the discount is typically $5 (such as New Year’s Eve) to $10 (such as Summer Solstice). Similar to special events, the workshop discount for members is usually $10; where margins are tight, the discount may be $5. If you’re registering online but want to pay in-person, the membership is marked as “pending” until the balance is received. 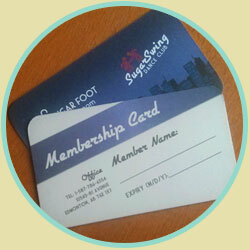 Also, to receive your membership card, please ask for it at the next event or class you attend.